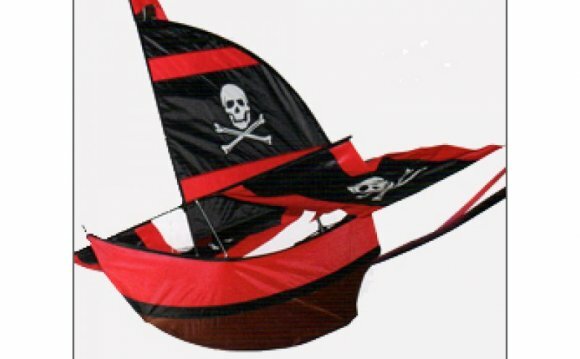 Easy to fly single line, pirate ship kite with skull and cross bones sails. This unique 36" kite will catch eyes as it sails through the sky. Founded in 2008, the Skydog Kite's team has over 100 years of experience in the specialty kite market! They have focused their passion and industry knowledge to create the world's best flying, highest quality and affordable kites. Their staff features award winners in both design and flight! Skydog Kites continues to raise the bar on kiting excellence and its customers are the primary benefits. My Pirate ship kite flying.